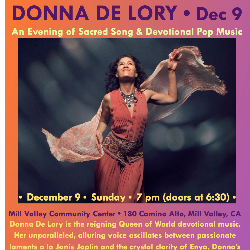 Donna De Lory in Concert: 12th annual December in Marin! 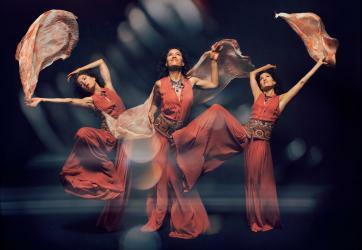 Before dedicating her life to singing sacred mantras and lyrics of spiritual aspiration, De Lory traveled the globe for 20 years as an accompanying vocalist and dancer for Madonna, appearing in the iconic documentary film Truth or Dare and on stage with the pop icon during numerous legendary tours. 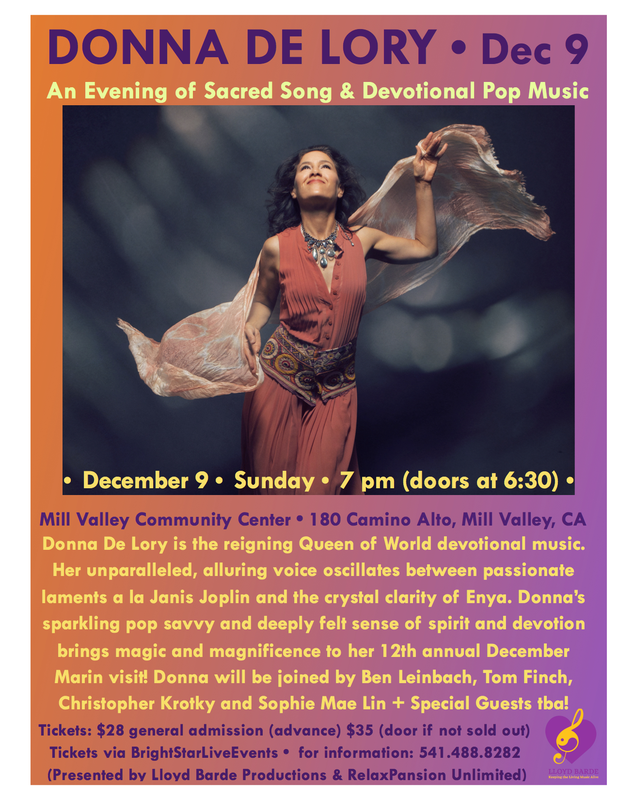 De Lory’s own music combines sparkling pop savvy with a deeply felt sense of spirituality, and has won her a strong fan base in the yoga/conscious living community and beyond. Her legendary shows have been showcased at Festivals worldwide like Bhakti Fest, since its inception, and she always raises the energy to new ecstatic heights and takes the audience to the depths of their hearts and souls. While dancing is always central to Donna's concerts, there are so many tender moments to deepen, reflect, & truly "feel it". For the 2018 show, at the spacious Mill Valley Community Center, Donna will be showcasing her “Here in Heaven” CD, and will be joined by Ben Leinbach, Tom Finch, Christopher Krotky and Sophie Mae Lin — plus special guest appearances tba!